What’s your plan for feeding your family when life is hectic? Instead of waiting until your life is unmanageable, plan ahead so you can get healthy food on the table when you need it most! Meal planning is the best way to control what you eat, but it may not be a practical solution when a crazy, busy week pops up. Running around, from one thing to the next, gives you almost no time to put meals on the table, let alone healthy ones. Even if you throw together a meal plan for chaotic weeks, do you follow it or do you end up resorting to take-out and convenience foods all week? There is a better way to conquer those busy weeks. I promise. Plan for them now and life will be so much easier and better when they happen (or sneak up on ya). I know exactly what you’re thinking, Okay, so how in the heck am I supposed to give my family healthy food when life becomes a frickin’ circus? To answer that, let’s discuss the concept of a meal plan for a busy week, shall we? Surely I’m not the first person to come up with this idea. I also know it’s not a common idea, though, so you may have never heard of it. 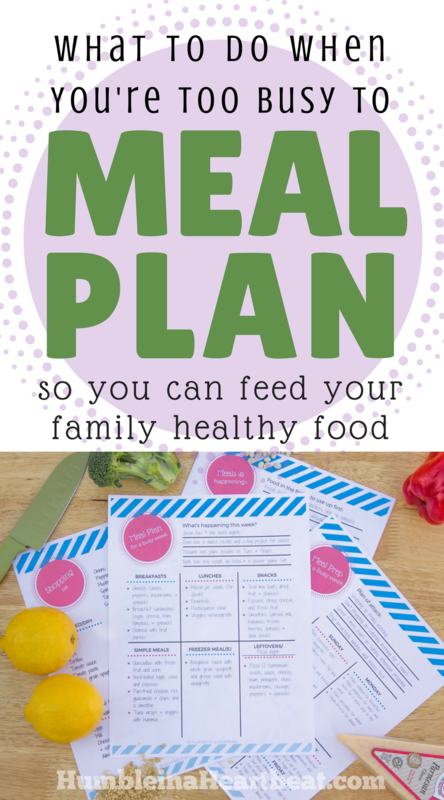 To survive the ups and downs of a busy week and get some good nutrition in your family’s bellies, you can spend some time meal planning in advance and use your busy week meal plans whenever you run into a crazy, chaotic week. Sure, you could whip up a quick meal plan for the next week. But a busy week meal plan is different because once you put in the initial work, you don’t have to do much more than a few tweaks on the plan when you want to use it. Perhaps you’re convinced that a “busy week meal plan” could change your life. If so, read on! Each meal needs to be super simple. If they are not, you’ll be spending too much time preparing food and soon find yourself at Chick-fil-A for dinner every night. Your meals should be super healthy. I mean, isn’t that your main goal? You have to use the meal plans as a guide and be flexible. For example, there will probably be food in your fridge that needs to be used up right before your busy week. Make sure you plan to use that food first and note those changes on your meal plan. Now that we’ve covered some ground rules, let’s get started. At first glance, this meal plan seems like a lot of work. But, truly, it is a whole lot less work (and stress) than figuring out where you’re going to get food for each meal when you have limited time to even think about what to eat. These simple meals should be absolutely easy to put together, ideally, in 20 minutes or less. Of course, you can prep as much as possible ahead of time so that most of the meal is ready before you get in the kitchen to finish it off and serve it. These meals can be extremely simple by just pairing veggies/fruits with a protein and some grains/carbs (and a healthy fat). Next, a night of leftovers can make your week way less stressful. You could even schedule in two leftover nights if it makes your life easier. Your leftovers will probably be a hodge podge of foods from all the simple meals you ate in the week, so it will be like another simple meal. For example, you might have some quinoa, grilled chicken, and roasted veggies in your fridge on leftover night. Those items make a healthy meal that only take reheating to pull together – perfect for those busy nights you’re rushing from one activity to the next. The third item on the list is a freezer meal. You’ll have to plan ahead (now) for this. If there is very little space in your freezer, replace this meal with another simple meal, leftovers, or maybe a more time-intensive meal if you have one night that is not as crazy. Your choice, of course. To plan ahead for the freezer meal, I would suggest making 2-3 different meals ASAP (before you have to use your busy week meal plans). You can even double them so you have one freezer meal every week for 4-6 weeks. I’ve made both stir-fry kits and homemade pizza for my freezer, and it was so nice to be able to pull a homemade meal out of the freezer once a week while they lasted. The fourth item on the list is a night you don’t have to cook! If it’s not in your budget to eat out, do more simple meals. Easy as that. But if you like to eat out, go one night a week. Keep a list of healthy restaurants you can go to and find out if there are any coupons, Groupons, or days of the week or times of the day that are cheaper to eat there. Finally, the last meal of the week can be whatever you want it to be. You can do something like bento boxes, buddha bowls, or even breakfast for dinner. 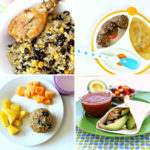 Keep the theme going for each of your meal plans or change it up if you’d like. Just keep it as low-key as possible, aiming for healthy options. Now we’re ready to talk about breakfasts, lunches, and snacks. You can prep all three meals (mostly) ahead, depending on what you choose. If you want the greatest convenience, make meals that can be frozen. Since you want your busy week to be as painless and stress-free as possible, take some time now to plan and prepare these meals. There are other meals you could obviously include for your own busy week meal plans, and that’s the beauty of creating them for yourself. You know what is best for your family and you should do what makes the most sense. If freezer meals are your thing, for example, make those a big part of your busy week meal plan. On a day or weekend when you aren’t too busy, spend some time working on your 2-3 meal plans. 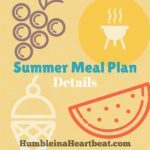 Before you jump right into the meal plans, list out 15-20 simple meals you can make (you may want one list per season so you can focus on foods that are in season), 2-3 freezer meals you can make, options for eating out, ideas for your “other” night, and ideas for make ahead breakfasts, lunches, and snacks. Go ahead and fill in the meal plans using the lists you created in step 2. 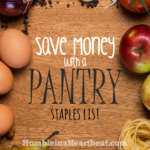 If you think it will help, write a shopping list for each of the meal plans. Create a “plan of attack” for each meal plan. When you have a busy week ahead, you’re gonna want to spend the least amount of time on it as possible and just jump right in with shopping and prepping. The plan of attack will keep you on track so you do everything in the most efficient way. List the days of the week (the first day should be the day you go shopping or the day after that) and what you need to do each day. You’ll want to spend the bulk of your meal prep before the week starts (likely Saturday/Sunday). Do your best to prepare anything ahead of time that you can. If there is anything left that you will still need to do on the day that you eat a specific meal, write that down. It could be instructions to take a meal out of the freezer to thaw the night before, or what exactly you need to do right before you eat some meal. Now gather your meal plan, shopping list, and plan of attack for each week, and keep them with your meal planning stuff. If you don’t have a specific spot for that, start one. Put them in a binder, or if you’re the digital type, make sure you do this in your phone or in google docs in the first place. After you make 2-3 meal plans, you may want to make 2-3 more for each season. 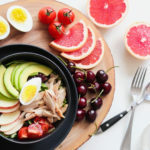 For example, if you create 2-3 meal plans based on foods and cooking methods that you mainly use in the summer, you’re going to want 2-3 other meal plans for foods and cooking methods you use in the fall, winter, and spring as well. It really wouldn’t make sense to use the same meal plans for different seasons unless your meals and cooking habits remain consistent year-round. The moment you realize you need a meal plan for the next week because there’s no way you will be able to cook, get out one of your already prepared meal plans. 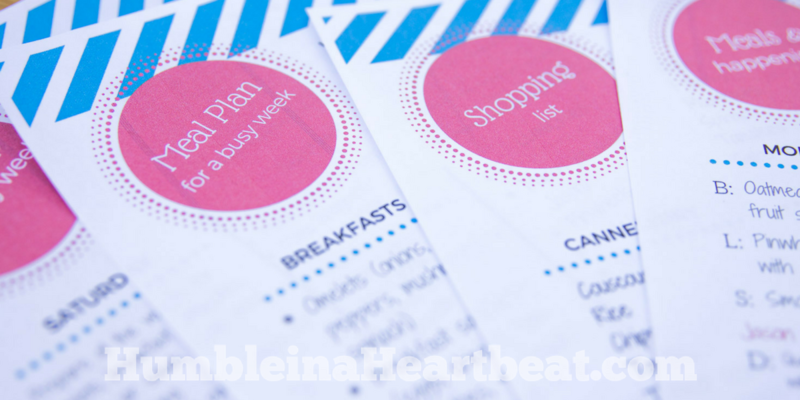 Before you run with it and start shopping for and preparing food, write down exactly what’s happening in your week – the reason why you need a busy week meal plan in the first place. Use your calendar so you know when you are the most busy and when you should eat certain meals. For example, write down leftovers on an evening when everyone will be doing different things at different times. That way, you don’t have to worry about meal prep at all, and everyone in the family can eat what they want when it is most convenient for them. Take note of any meals that don’t make sense for the coming week and adjust. You should also take a look in your fridge or pantry and plan to make meals based off what you already have. What if you’re just always busy? If the whole time you’ve been reading this you’ve been thinking, I’m busy 52 weeks of the year. This is my life. How am I supposed to meal plan for that? ?, then my advice is to spend time each week coming up with several more meal plans. 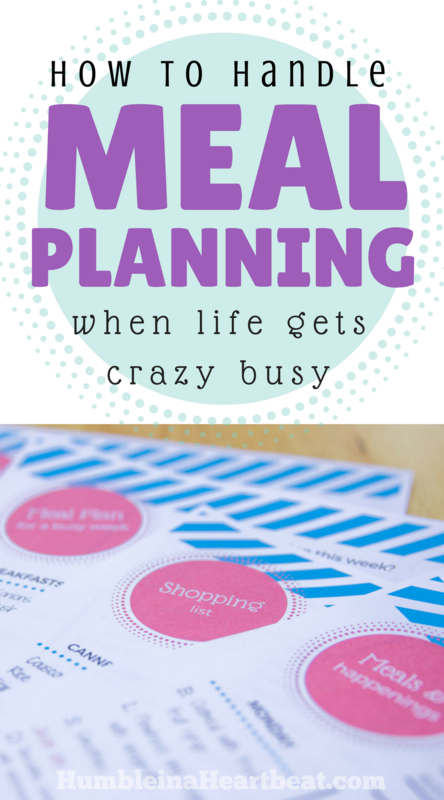 You could spring for a meal planning service (they really are a good value), but that may not solve your problem. 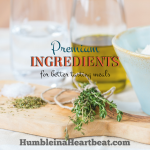 In my experience, you usually have to create your own meal plan if you want it to be quick and easy because new recipes and cooking methods that are common with meal planning services can take some time to learn. Now. I want to challenge you to set aside time on your calendar to get your busy week meal plans done. If you go back to Pinterest now, after reading all this, I’m afraid you’ve just wasted a good 10 minutes of time. You’re probably going to forget about it by this time next week. When a busy week rolls around, you’ll wish you had spent the time to meal plan for it when you weren’t so busy. Please don’t do that to yourself. Don’t wait until you have a busy week to think about these meal plans. Do them now and you will reap all the many benefits when a busy week pops up in your life. Mmm, k? You can download my meal planning templates by signing up here so you don’t have to come up with your own. 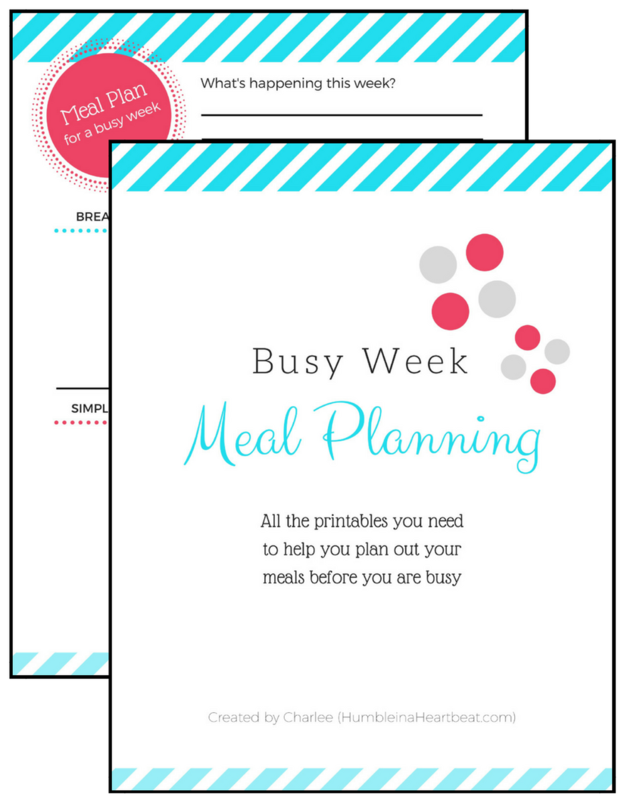 When you give me your email, you'll receive a sampling of my workbook, Busy Week Meal Planning. 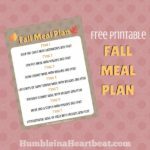 I look forward to sharing these printables with you, so you can give your family healthy meals even when life is a circus! Awesome! Check your email for your free quick-start guide and to confirm that you'd like emails.